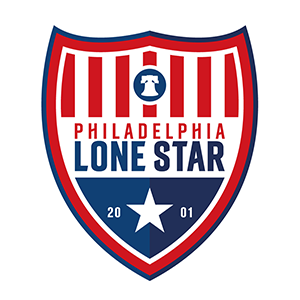 Junior Lone Star Launches Academy | Philadelphia Lone Star F.C. PHILADELPHIA – The Junior Lone Star Football Club is pleased to announce the formation of a Youth Academy Program for 8 – 18 year old players, beginning with the Fall 2015 season. The Academy program is designed to allow elite-level players to develop skills and maximize potential without having to leave the community. The focus of the Academy is on producing a soccer player who is exposed earlier to a culture that includes a dedication to physical training, mental training, nutrition management, recovery principles, injury treatment and prevention. The program operates as a player pool that fields various boys teams for travel play against other regional Academy teams. In addition to local and travel games, teams will participate in at least one tournament during the season. There is no cost in participating in the program. Thomas George, who runs the AFKAN Sports Management Firm, and George Beyan will serve as the Academy’s Coordinators. Thomas George is an accomplished player and coach who currently serves as Assistant Coach for JLSFC First Team and has served as a head coach for JLSFC U19 Team, a team he won the USL Super-20 Mid-Atlantic Title with as well as a place at the USL Super 20 Nationals. He has been with Junior Lone Star Football Club for 14 years, both as a player and as a coach. George Beyan is also a licensed coach who has been with the club for 14 years. He has won several State titles with JLSFC U23s and he was at the helm of the U23s when the club won its first U-23 Regional Title and subsequently qualified for the USASA U-23 Nationals. “I believe it’s an exciting project that we are embarking on. The good thing here is we will be giving kids in our community the chance to improve their skills and develop a desire for soccer than other sports,” said Thomas. About 10 to 18 adults will be involved with running the six teams (U8s, U10s, U12s, U14s, U16s, U18s), including six coaches, six First Team players, a physical performance coach, and a goalkeeping instructor. The program will run for 48 weeks and teams will compete at the highest level that Junior Lone Star FC can offer at any particular age level. Academy Evaluations/Tryouts for the year-round program will be held on Oct. 24th from 9:00am – 1:00pm, at the McCreesh Playground Soccer Field. Players not currently registered with JLSFC must bring a birth certificate. The road to the Academy has been a bumpy one, admits Junior Lone Star Football Club president Paul Konneh, as parents don’t have the means of paying fees for the program so the club will have to solicit funds to cover the cost of running the Academy which includes league and club fees, equipment, uniforms, referees and the use of higher quality fields. “From what I’ve seen since I have been with the club, we have always find the means of persevering against difficulties that have come our way and I don’t see that changing anytime soon,” said Konneh, who has served as club president since 2010. In addition to the Academy, the club will continue to offer competitive programs for the U20s, the U23s, and the First Team. For more information, see our Academy Page at www.juniorlonestarfc.org/academy, or contact Thomas George at 267-770-8088.